If anyone was confused, like I was, the book is in 3 different languages at the same time. German in one column, English in the middle, and I think French in the right (wasn't paying attention to that one). The book is part of Rockport's popular Workbook series of practical and inspirational workbooks that cover all the fundamental areas of the graphic design business. This book presents an abundance of information on type - the cornerstone of graphic design - succinctly and to the point, so that designers can get the information they need quickly and easily. 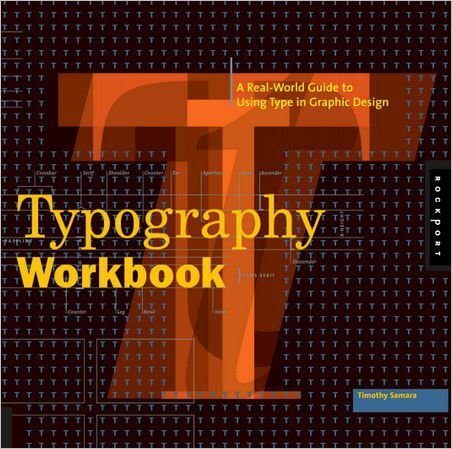 Whereas many other books on type are either very technical or showcase oriented, this book offers ideas and inspiration through hundreds of real-life projects showing successful, well-crafted usage of type. The book also offers a variety of other content, including choosing fonts, sizes, and colors; incorporating text and illustrations; avoiding common mistakes in text usage; and teaching rules by which to live (and work) by. 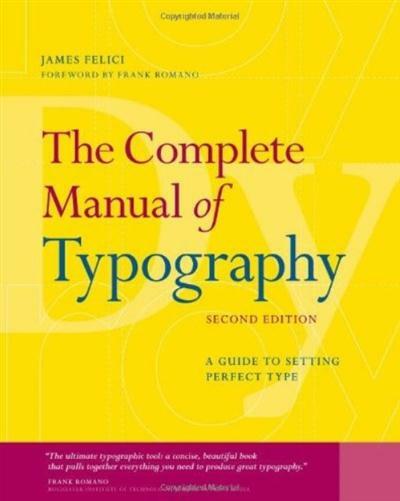 eautifully designed and richly illustrated The Complete Manual of Typography, Second Edition, is the fully updated version of THE seminal book on typography by Jim Felici. This book is about how type should look and how to make it look that way - in other words, how to set type like a professional. It explains in practical terms how to use today's digital tools to achieve the secret of good design: well set type. An essential reference for anyone who works with type: designers, print production professionals, and corporate communications managers can go to straight to the index to find focused answers to specific questions, while educators and students can read it as a text book from cover to cover. New Techniques, and coverage of working methods such as style sheets.